How long will you keep playing rec league soccer? Do you want to run for an hour straight? If the answer is yes, than congratulations superstar, you’re better than the rest of us. If the answer is no, than welcome to the club. Running is boring. However, a crazy thing happens when a soccer ball comes into play. Somehow, running suddenly becomes fun. As it turns out, running isn’t so bad when it’s part of a game. That’s right, soccer masks exercise. So, if you stopped playing soccer, how would you burn those un-wanted calories? Don’t bother thinking about it, the alternatives are brutal. Just stick to soccer. Remember how easy life was as a kid? No job, no responsibilities, no stress at all. But as we get older, everything changes. Playing soccer takes the edge off. Running around and kicking a soccer ball allows you to release all your frustrations. It’s healthy as long as you don’t go too far. No one likes “psycho rec soccer guy,” so don’t be THAT guy. If you’re 25 or younger, you probably don’t realize your social life could take a hit at any moment. Getting out to see friends becomes more difficult with age, so it’s important to have built-in excuses. Soccer is a great excuse. When you commit to a soccer team, you commit to a social life. You’ll make friends, you’ll have a few extra wobbly pops, and you’ll ensure you don’t turn into the person who spends their time watching “How I Met Your Mother” re-runs. If you stop playing soccer, your skills will deteriorate at an alarming rate. This is an unfortunate fact of life, and you’re best to accept it. Now that you’ve been armed with this powerful knowledge, you can either maintain your skills, or you can quit. Those who decide to keep playing will stay in better shape, will be more relaxed, and will maintain some friendships they would have otherwise lost. Those who decide to quit playing soccer will become out of shape losers with no friends. 1. Who knows, you might have a dream season! Every soccer player is entitled to a magic season every now and then. It’s a season where passes are on point, shots find the goal, and wins are easier to come by. If you’ve experienced a magic season, you know exactly what we mean. If you don’t know what we’re talking about, you’re probably overdue for a great season. Best continue with your soccer hobby. Now that we have your attention, you might want to check the latest pictures, videos, and news from around the league. 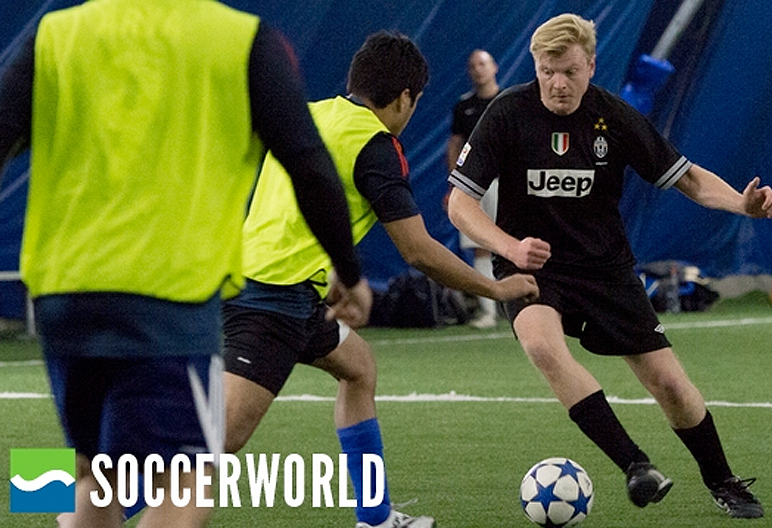 We’ve got all the latest updates on our Facebook page: https://www.facebook.com/soccerworldcentral, and on Twitter: https://twitter.com/soccerworld_to. Who knows, you just might be featured!